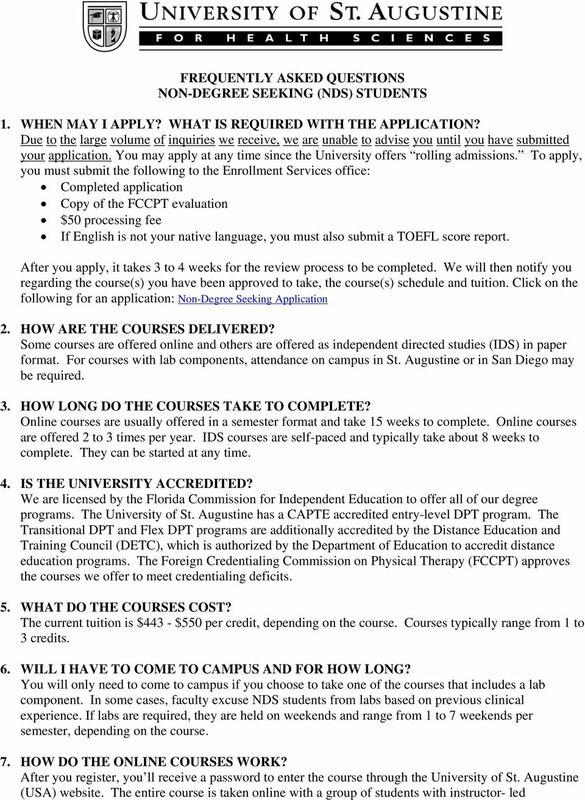 Download "APPLICATION FOR NON-DEGREE SEEKING STUDENTS"
1 APPLICATION FOR NON-DEGREE SEEKING STUDENTS Application Procedures (Please read the following instructions before completing application.) 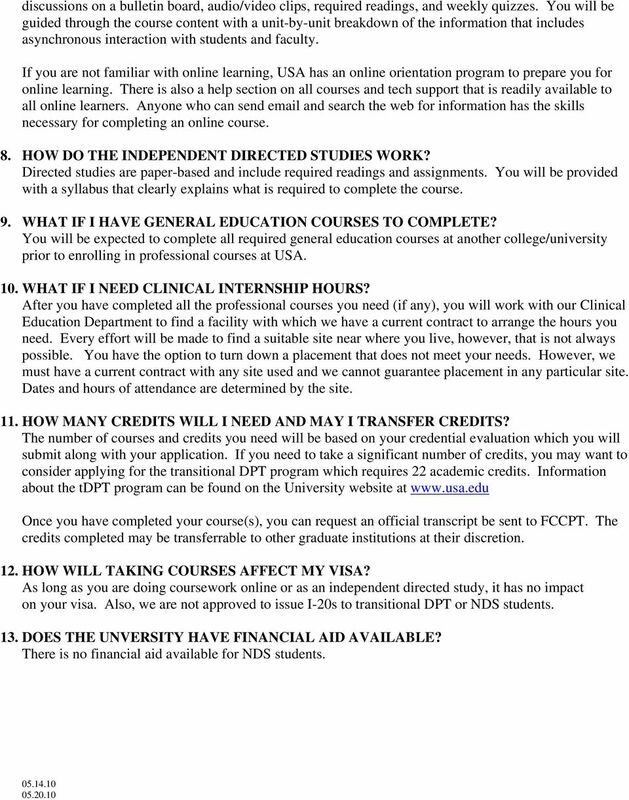 Application for non-degree seeking students Read all questions and answer completely; do not leave any blanks. Mark the appropriate space N/A if the question does not apply. Supporting documentation that accompanies the application should be properly labeled. Along with your completed application form, you must submit the following: A $50 processing fee. Applications will not be processed if the fee is not included. Current resume Current professional license (if applicable) Credentialing evaluation if your degree was completed at a college or university outside the United States. 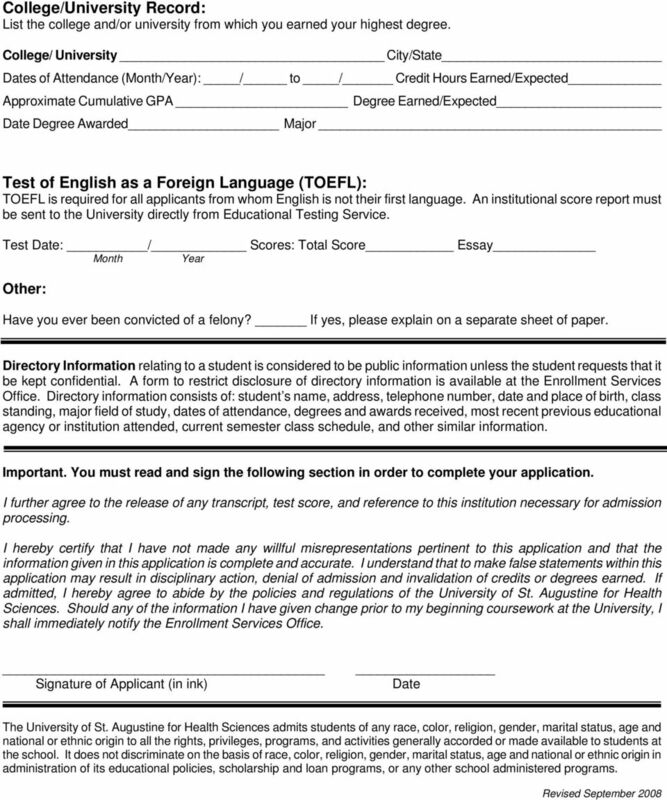 The assessment should include a course-by-course evaluation of your foreign course work. You must have the equivalent of a baccalaureate degree earned from an accredited college or university in the United States to be considered. 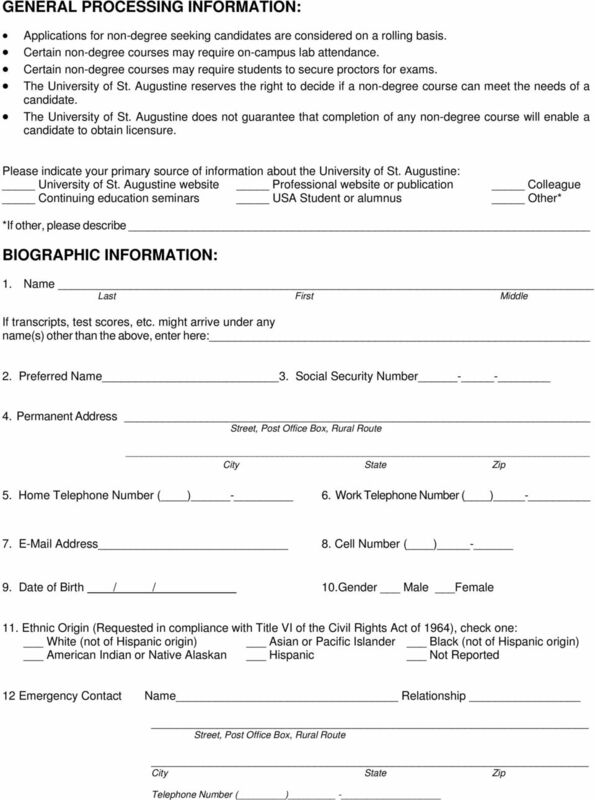 Please note: All general education deficiencies listed on the FCCPT or any other evaluation must be completed before a candidate is eligible to register for any professional education coursework with the University of St. Augustine. Please direct any questions you may have regarding the application process to or to the Enrollment Services Office (904) x204. 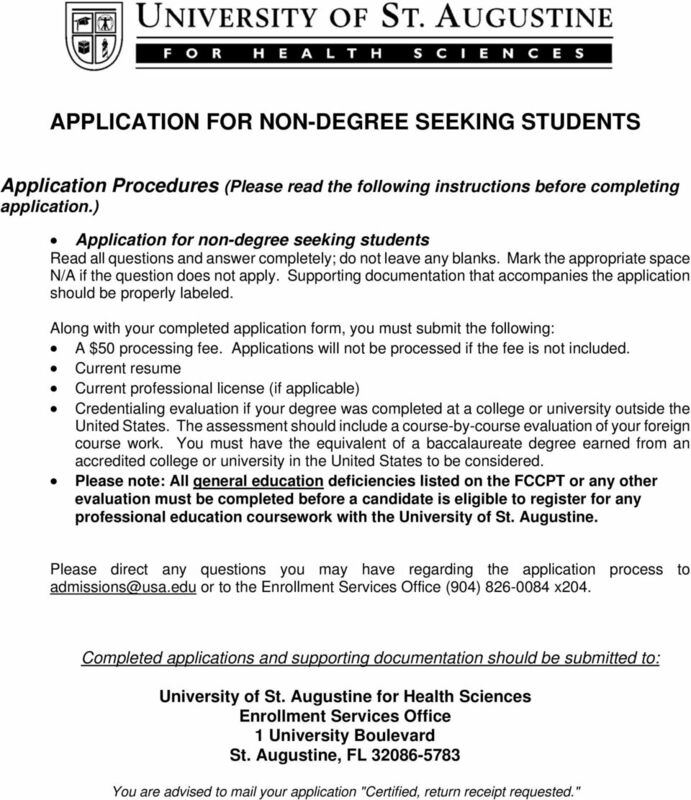 Completed applications and supporting documentation should be submitted to: University of St. Augustine for Health Sciences Enrollment Services Office 1 University Boulevard St. Augustine, FL You are advised to mail your application "Certified, return receipt requested." YOU ARE NURSING APPLICATION FOR ADMISSION ACCELERATED BACHELOR OF SCIENCE 1 Program Information 2 Application Form 3 Financing Your Education 4 Financial Aid Checklist 5 Reference Form 1 ACCELERATED B.S.N. HAMPTON UNIVERSITY. GRADUATE COLLEGE ApplicationBooklet ADMISSION INFORMATION FINANCIAL AID INFORMATION UNDERGRADUATE APPLICATION.